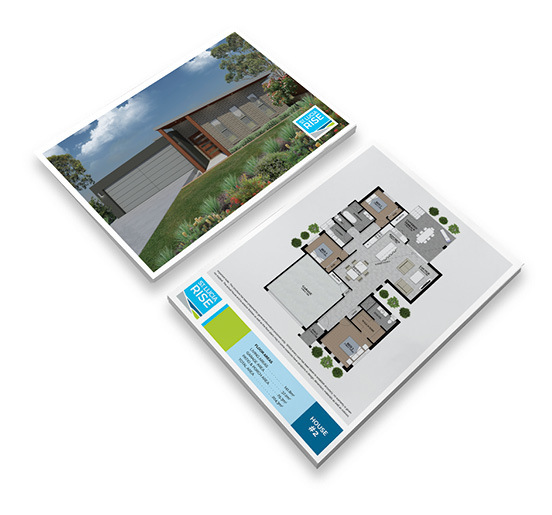 The dynamic duo that are Coast Horizon Property are relatively new to the local Port Macquarie development scene, although they have several projects in planning stages. 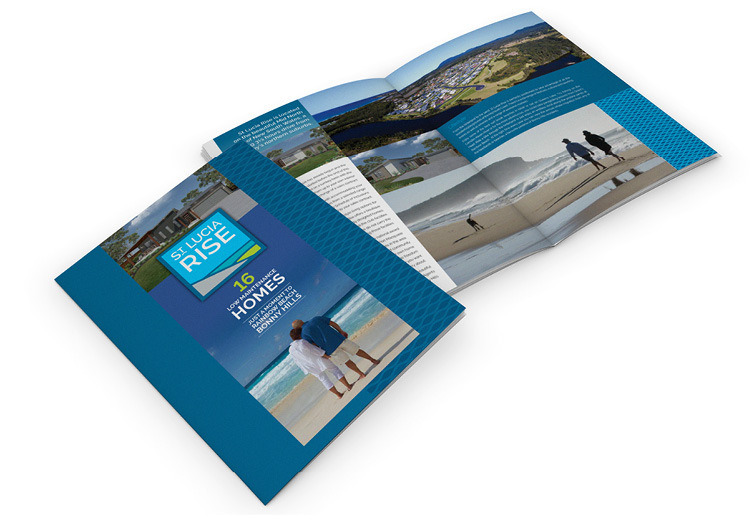 St Lucia Rise is a unique strata titled community development. It enables home-owners to live in a small community neighbourhood with the freedom of being able to lock up and go whenever they want, with very little maintenance to worry about. The development is all about a relaxed, yet secure lifestyle, located within minutes of the beach and close to many other facilities between Laurieton and Port Macquarie. We were asked to come up with a brand with a sense of resort-style living to compete with other local development offerings. It also had to reflect the relaxed beachside location and feel safe and secure. The logo symbolises a rooftop overlooking a horizon of green and blue. This captures the natural setting, the nearby ocean and the vast blue skies that this Mid North Coast location offers. It is contained within a square to add a sense of security and prestigiousness. The brand has been applied to signage, brochures and a corporate folder. A graphic pattern of wavy lines has been added to the collateral to enhance its seaside feel.